It would be wrong of me to say I’m totally relaxed and looking forward to today’s visit to the city of Havana in Cuba, but I have no rational reason for feeling the way I do, so I intend trying to keep an open mind. First impressions are, once again, a little mixed as the place we’re berthed at is quite dirty and dishevelled. I must remind myself of my previous comments about not expecting things to be the same here as in other places. This is a country which is growing and improving, yes the revolution was some time ago but rebuilding takes time…and many boatloads of money. 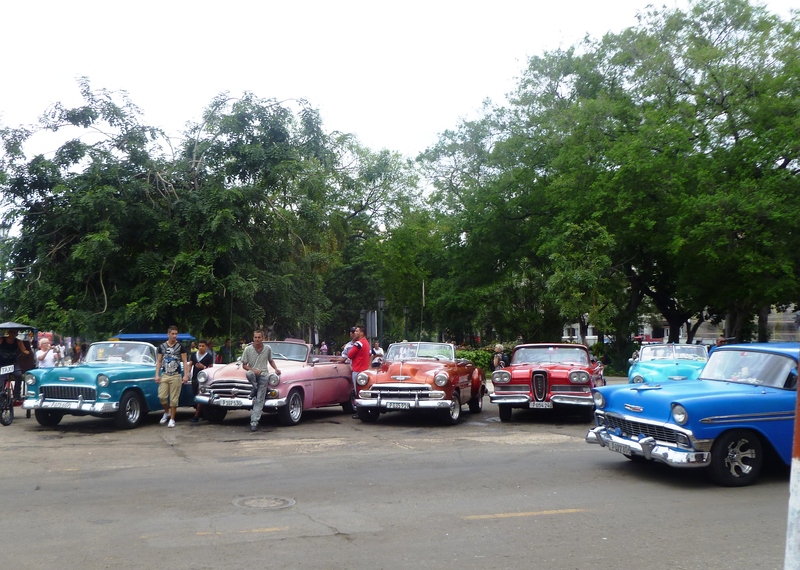 We have to wait a while for immigration clearance and there’s a huge queue to change money into Cuban Convertible Pesos, but once that’s done we’re off. It’s a hot and sticky day and like many places there is the gauntlet of horse-drawn carriage owners and taxi drivers to negotiate. But to be fair they’re not as pushy as some of the ones we’re encountered on previous trips, so the first good point of the day is awarded. We walked along the harbour front but a lot of care is needed here. The pavements are quite bad and are very uneven with huge holes here and there. But the people appear genuinely pleased to welcome us to their city with many an ‘Ola’ handed out along with big smiles. All seems friendly so far. Some of the streets and buildings are seriously depressing though and there is a lot of construction and renovation happening. Unfortunately our first wanderings led us into a less salubrious area of the city and within a short time we quickly get lost in all the backstreet alleyways. I wouldn’t say we felt in any danger but elderly men urinating against the wall is never a good sign. Much is made of the old American cars which dominate this city, and it’s true there are so many of them around the average car enthusiast could spend hours here and look at nothing else. 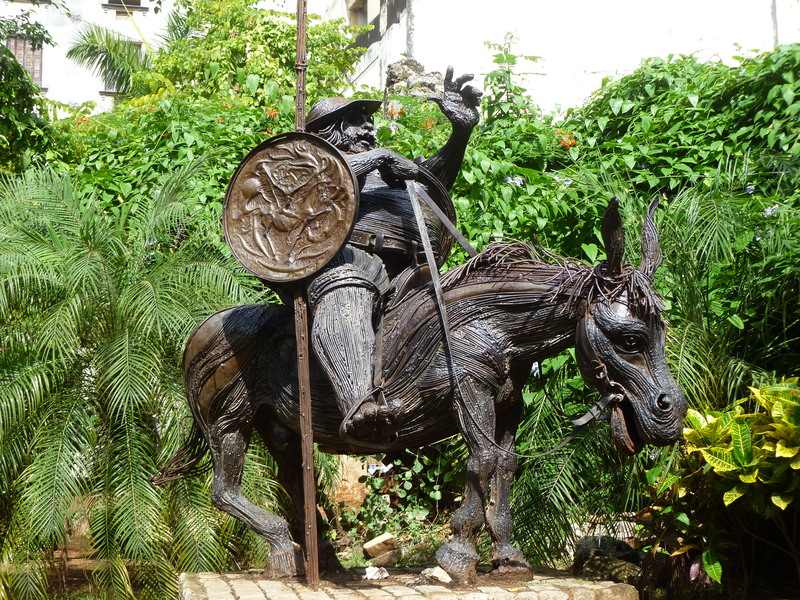 But be careful if you decide to ride….be absolutely clear in your negotiations as we heard many a story of a price being agreed but the passengers not realising the price quoted to them was per hour and/or per passenger and not a total for a tour. We heard one couple saying that as they’d had insufficient money when the time came to pay, the driver had demanded the man go off in search of cash while his terrified wife remained in the sweltering confines of the back of his car. There are a lot of ‘dead’ railway engines around the streets as well, not all are accessible to look around but seeing the scatterings of ‘open air’ museums was interesting. Anyway, by the evening of the first day I’m still not totally convinced, but the highlight of this tour was about to happen….we’d booked to go to ‘Club Tropicana’ to see this world famous show. Well what can I say? It was very spectacular and with half a litre of Havana Club rum between the two of us it got better by the minute. Then to be fair we were quite lucky as we were directed to seats which gave us a decent view of the stage. Others were not quite so fortunate. The members of the audience are packed around oblong tables and this poses a big problem, a lot of folk are facing the wrong way….and it’s nigh on impossible to rotate your chair for a better look as the person behind is so close. Overall we were both quite pleasantly surprised by the entertainment on offer although I would say that some parts became quite repetitive. This is a high-energy dance show with lots of fast salsa drum beats, so don’t expect too much variety. But it was very lively and colourful, what more can you wish from a show? And so closed our first day here….dare I say with a smile….but was Havana or Havana Club responsible? Day two was just as hot and sticky and there’s a load more to see and do, so off we go again. The one inescapable fact about this place is it’s cheap…very cheap. We bought a number of presents to take home and food and drink is very reasonable…for example lobster for two with several mojitos to wash it down will cost around £20, and we bought two litres of Cubans finest rum for around £8! We visit the the usual tourist haunts such as the Cathedral, the government buildings, revolution square, the armoury museum, etc and it was all very interesting. There is an awful lot of renovation going on so the future potential of this city appears to be a really good place to visit. 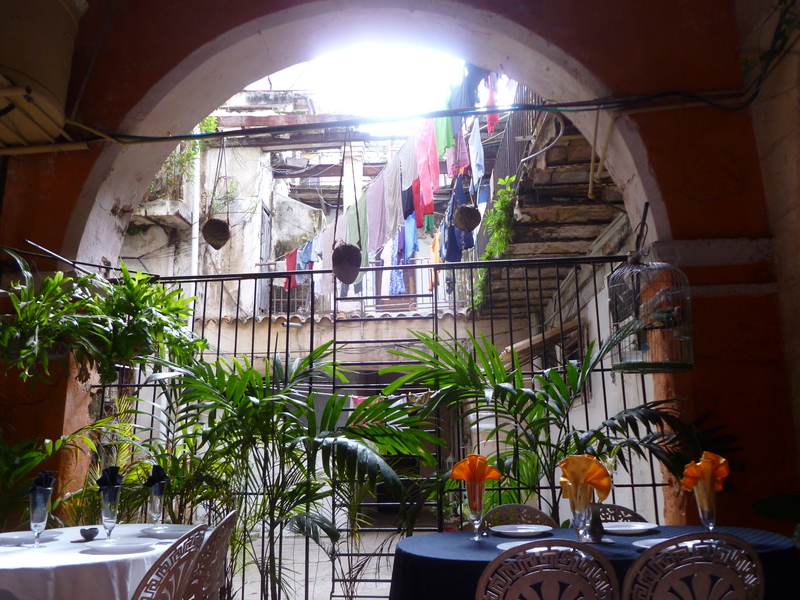 We end up having lunch in some back street café, which turns out to be the owner’s front yard with chickens and children running around, and a pile of colourful laundry drying on the washing line overhead. This for me was one of the highlight of this trip so far and demonstrated how friendly the people are here, as well as how desperate they are to earn a living, however they can. 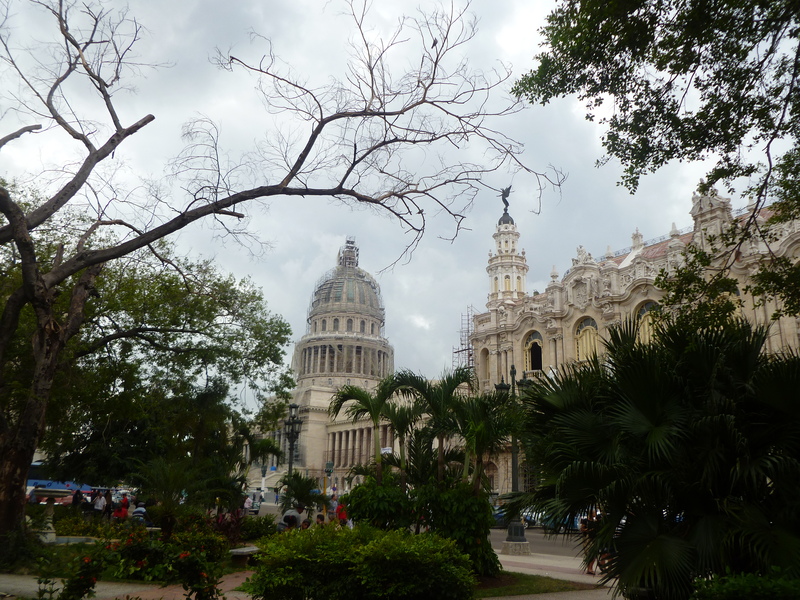 Needless to say the food was as good as the hospitality…..
And that was Havana. Much better than we’d expected and certainly different but I’m not sure we’ll come back….why?….probably because I wonder if the major renovation of this city which is happening at the moment will have a huge impact on the people and spoil the atmosphere and attitude that you feel in these somewhat chaotic streets. And as for those fantastic American cars….we all know what happened to the old buses in Malta once outside agencies put money into the local economy. Losing them would just be disastrous….oh well, I suppose we should come back in a few years time to find out what’s happened.